Sebbe Als is one of the oldest replica Viking ships in Denmark, and rightfully boasts of being the oldest one built entirely by hand. 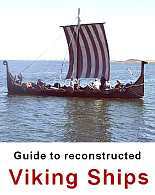 The wood used was cloven by axe and other manual tools. The ship is highly profiled, as it has served as a front figure of many events. For instance, the Sebbe Als was in New York when the USA celebrated the bicentennial of Independence, and it has taken part i city jubilees at Newcastle and Dublin. TV-shows has been made on the ship by both Danish and foreign TV, and it has featured in a number of commercials. 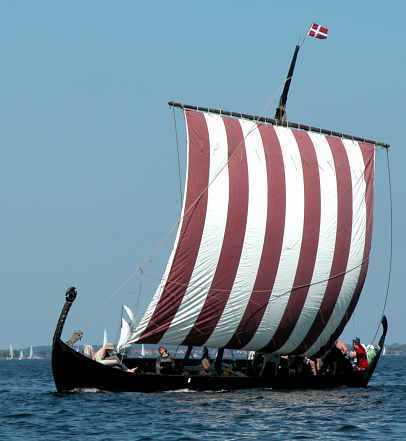 One of the triumphs of the ship occured in 1972, when it was used to put a tale from the Icelandic sagas to the test: The Viking trader Ottar is claimed to have sailed from Tøndsberg in Norway to Haithabu in modern-day Germany in 120 hours. Sebbe Als travelled the same route the other way, and made the trip in 114 hours. Boat Guild: The guild has some 50 members, and is open to anyone. Terms of hiring: Not possible. Sailing only with guild members, but it has on rare occasions taken part in sponsored parade sailings.